It would be fair to say that we have all become so used to the half-press shutter to achieve autofocus that any change to this routine would seem a little strange. For those of us who remember, of course, there was once a time in photography when autofocus simply did not exist or was at best a crude mechanism. In this article, I will explain the benefits of an alternative to using the shutter to focus on your subject called Back Button Focus. I will outline the problems with the way we use the shutter button on cameras now and the distinct benefits of using Back Button Focus instead. Automatic focusing technology has improved to the stage where we rarely even question its accuracy. Top of the line DSLR and Mirrorless cameras from big players in the market like Nikon, Canon and Sony all feature amazing autofocus technology that is fast, accurate and makes life a lot easier. 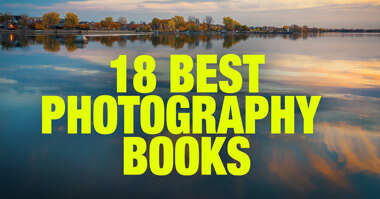 But none of this means that the art of manually focusing doesn’t have a place in photography. 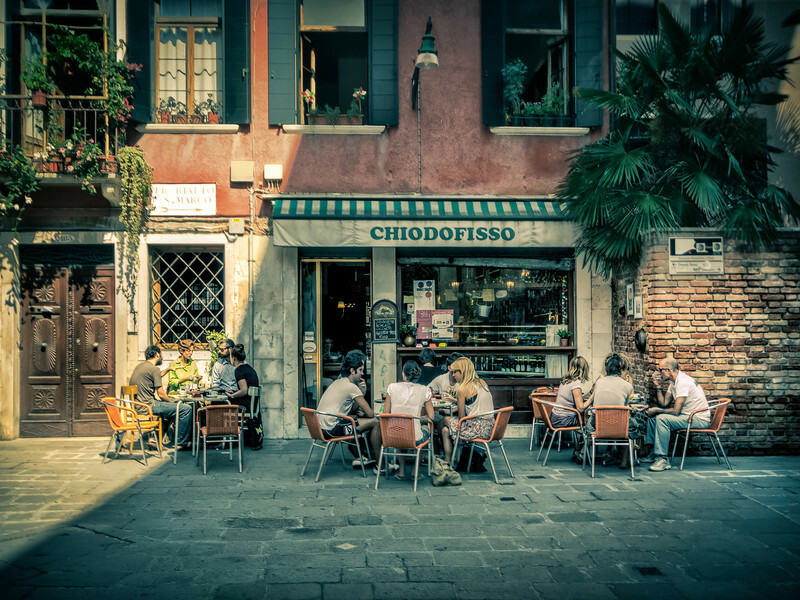 In fact, many street photographers use manual focusing religiously, and when taking a photo of a landscape from a tripod, the usual routine is to autofocus and then switch the lens to manual focus so that multiple shots can be made without having to half-press the shutter each time and lose the initial point of focus. The last point is important. We’re all so used to the shutter buttons on our camera locking focus on a half-press that we often don’t think about how it might be slowing us down. Here’s one common problem: if you’ve already focused on your subject but want to take multiple photos, do you really want to refocus each and every time you half-press the shutter button? 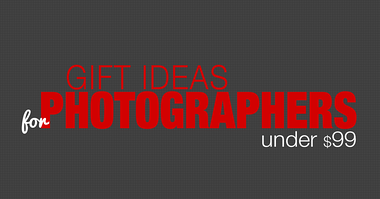 Wouldn’t it make much more sense of the shutter button only activated the shutter? If you could alter a setting on your DSLR that gave you the option to use autofocus, but also meant that you didn’t have to refocus each and every time you pressed the shutter button, it would make many photographic situations more convenient. On most DSLR cameras, you can do this right now. The feature is called Back Button Focus. 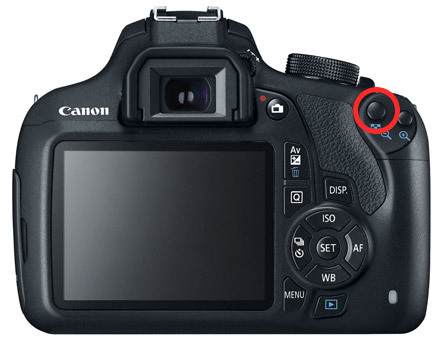 By setting one of the function buttons on the back of the camera – usually the Exposure Lock (AEL), or similar free button – to be the focusing button, you free up the shutter to be the button that actually makes the shot. By separating the shutter from focusing, you take control over when you want to focus. 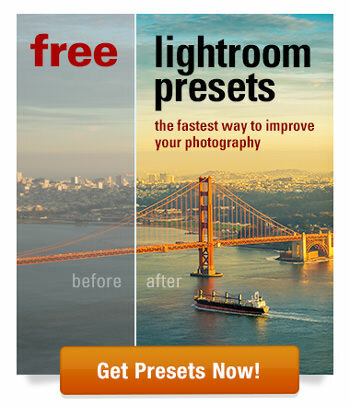 But how can it improve your photography and why is it better than half-pressing the shutter button to achieve focus? When you consider the following benefits, you might not ever want to go back to the half-press again! 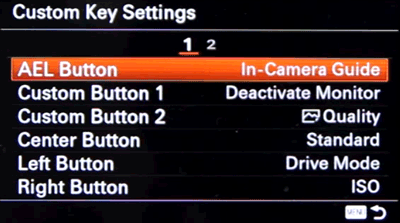 Below are a few examples of Back Button Focus locations on different camera models. Back Button Focus is especially good for situations where you want to take multiple photos of the same subject. For example, if you’re involved in a portrait session, do you really want to have to refocus every single time you half-press the shutter button? You can focus once on the subject’s eyes with the back button, and then take multiple shots with the shutter button. 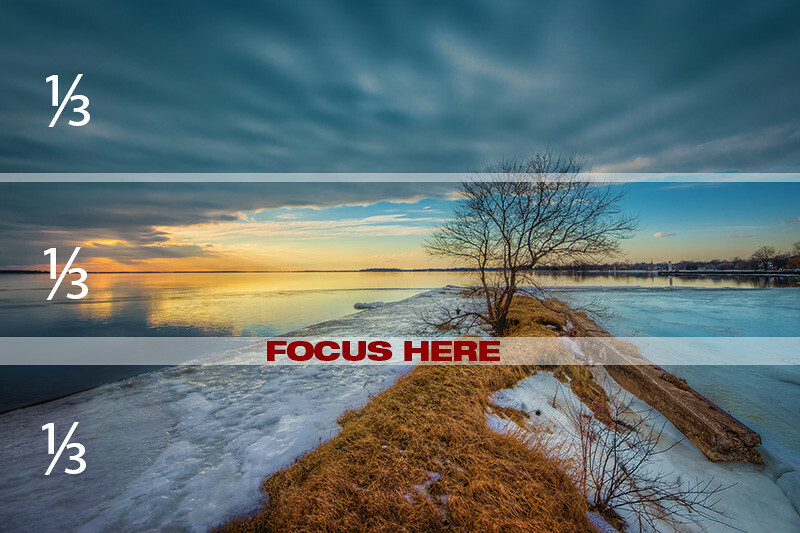 When your subject changes position or you want to focus on something else, you can simply press the back button to refocus. Even though it might take a little getting used to, you may never go back to using the half-press again! Using the re-programmed back function button to focus when YOU want to and not whenever you depress the shutter button is simply more efficient. You will find yourself re-focusing less and concentrating far more on the subject and composition. Even though most modern cameras are very quick at achieving accurate focus, you don’t always want to have to wait for the camera to refocus on a subject. Back Button Focus means that you can lock focus once and then use the shutter for what it was really designed to do: activate the shutter in the camera and take a photo! 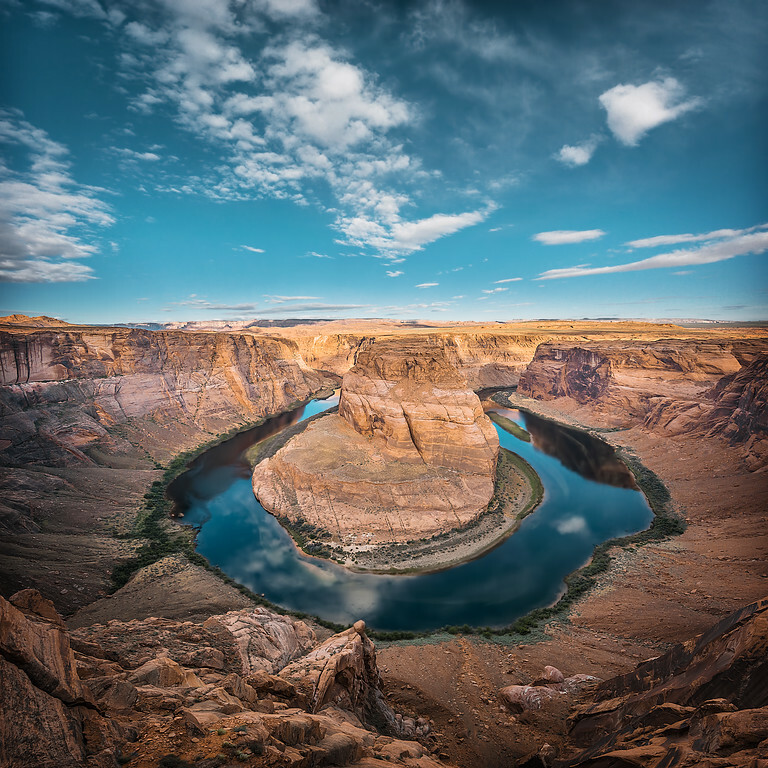 Before shooting a vertical panorama of Horseshoe Bend, I used Back Button Focus to lock the focus and then I shot series of the shots without worrying about focusing. I have already discussed the benefits of using Back Button Focus for portraiture, but it also imparts great benefits to many other types of photographers. For many landscape photographers who regularly use a tripod in their work, separating the shutter from focusing is very convenient. If a photographer already has their camera set up on a tripod and focused on the landscape in front of them, they don’t need to refocus each and every time they take a photo. In fact, many landscape photographers focus once and then switch the lens to manual mode so that the camera doesn’t refocus when they press the shutter button. This situation can easily be avoided when Back Button Focus is set up. For landscape photographers who use filters regularly, using a back button to focus makes their session far more convenient and just makes good sense. It would be inconvenient for them to have to refocus through a filter, especially since many filters are so dark that focusing would be impossible for the camera to achieve. I use the Back Button Focus functionality to lock the focus one third into the scene and after the focus is locked, I recompose to get the composition I want. Wildlife photographers often find themselves waiting for animals to make a move or do something interesting before they take the photo. Leaving focusing to the shutter button in this situation means that every time you want to take a photo, you need to wait a little before focus is achieved once more on the subject. In this moment, that interesting pose or movement might be over, or the animal might even have moved out of frame! Back Button Focus solves this problem by freeing up the shutter button to make the shot without having the delay of refocusing. The Back Button Focus technique becomes even more powerful in combination with Continuous Autofocus mode. It allows a photographer to lock focus on a subject once and then concentrating on shooting while the camera keeps tracking the moving object adjusting the focus accordingly. This combination is widely used by wildlife photographers when shooting flying birds of running animals. In much the same way that wildlife photographers often find themselves waiting for just the right moment to take the shot, street photographers also spend a lot of time looking for the right moment. By leaving focusing to the half-pressed shutter, a street photographer will have to endure many lost moments as they wait for their camera to refocus every time they want to capture a moment on the street. Setting up the camera to Back Button Focus means that street photographers can capture moments as they happen without waiting for the camera to hunt for focus. The process of setting up the Back Button Focus is different for various camera brands and models. Sometimes it is a single step process where you simply assign a dedicated button to AutoFocus. On other models, it a 2 or even 3 step process where you disable autofocus on shutter button first and in the second step, you assign AutoFocus functionality to one of the programmable buttons. 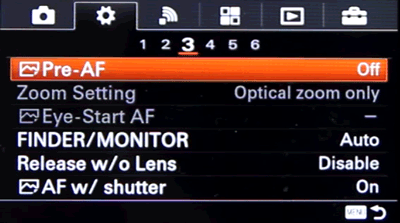 For example, for the Sony a6000 model, I would use “back button focus sony a6000” query. And here I created for you a number of shortcuts to the Back Button Focus videos for some popular camera brands and models. I am going to show you how to setup Back Button Focus on Sony a6000 and a6300. It is a 3 step process. 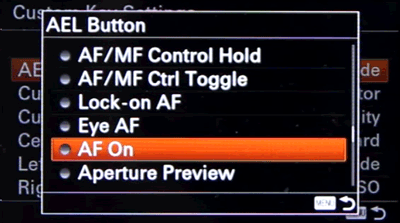 Disable Pre AutoFocus by setting Pre-AF value to OFF. 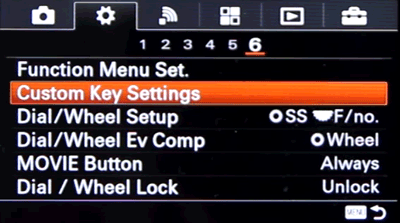 Select AEL Button menu item. Once you set up your camera for Back Button Focusing, you may not ever want to go back to half-pressing the shutter! The speed, efficiency, and convenience of Back Button Focus means that fewer moments are wasted waiting for the camera to refocus, and more crucial moments are captured. 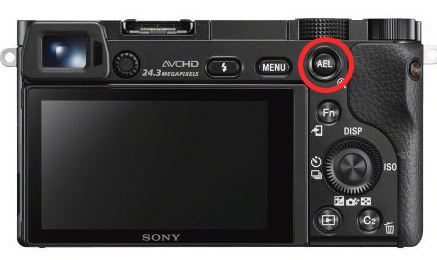 There is a possibility to continue to use the shutter and the Af button? I have a fuji camera and iam not shure. 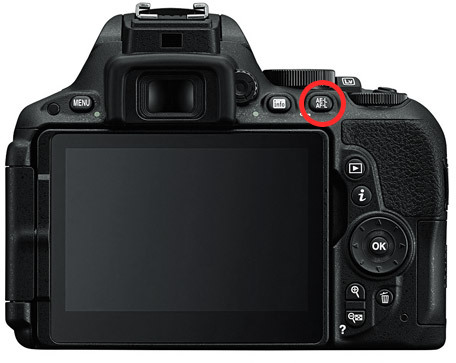 How to disable the shutter button. I am not a Fuji shooter but I am pretty sure it is possible. Google “back button focus + model of your camera” and you will find it easily. Thank you for your reply, I will try to find something in Google. 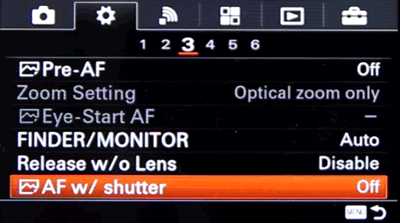 On my Sony a65 I set the AEL button to auto focus, but leave the half-shutter focus function on. That way, if I press and hold the AEL/back focus button the focus is locked and the shutter focus function is disabled, so there’s no delay in shooting. But if I want to use the shutter focus function it is still there to use. Best of both worlds I find. I have a slightly different setup on a6000. When I press AEL and hold it down the camera switches to continues autofocus. When I press and let it go it locks focus only. Great article very well and detailed explanation. when shooting flying birds of running animals.” ? Does this imply that you don’t have to keep pressing the back button while following the bird? on different cameras it works different. On my Sony a6000 if you keep button presses it will keep readjusting focus while tracking the object. If you press button and let it go, it will lock the focus but will not track the objects. It is good for landscapes. But if you have an a6000 you’re bypassing one of the most powerful features in all of photography to use BBF for landscapes. absolutely not. The whole point of BBF is that you do not have to use Manual Focus, instead you use convenience of Auto Focus with the precision of Manual Focus when using BBF. This just tells me the author never developed the focus/recompose/shoot skill to the point where it’s second nature. That process is NOT a time penalty, it’s not exhausting, lol….and it won’t distract you if you practice it to the point where it’s managed subconsciously. Subjects move, photographers move, and if we focus ONCE but shoot several separate bursts, we’re putting all of our eggs in ONE basket by assuming that our focus was perfect the first time. Anyone shooting wide aperture, shallow depth of field portraits knows that the difference between actually focusing on the eye and accidentally focusing on the nose or the FAR eye, is the difference between razor sharp and just kind of “ok.” Focusing before each burst gives you several chances to get it exactly right. If you’re using eye-tracking in portrait photography, that’s different, but almost none of us are. And most of us probably instinctively know, that when you shoot landscapes on a tripod…..you’re probably in manual focus. Heck, a lot of us aren’t even touching the camera when we fire, let alone holding a button down. I use BBF for two things……..when I have to get my focus THROUGH a crowd or through “stuff” and I want to take multiple bursts…..getting focus is hard, so I do it once. And I use it for object tracking, so that I can lock the attention of the camera on my subject, let my camera track that subject, and it leaves me free to fire with the shutter button whenever it makes sense. When I’m shooting portraits, or other non-fast-moving-subjects, one of the most important things I do is adjust for exposure. For that I need my right hand focused on THAT. Dedicating my right hand to holding down a button, un-necessarily, is just diminishing my creative input. I have a Sony A6000 and mostly use aperture priority for wildlife photography. Does the camera have to be in manual mode when you use back button focusing? Thank you very much. You did help me a lot by describing so exactly what BBF is for AND how to set up the camera. your realy helped me realising the benefits of the BBF. As an absoulte beginner it is very helpfull to see in what situation excatly the BBF can help. However I am wondering about the AutoExposureLock AEL that is often replaced for the BBF. Its button position tells me that AEL is quite an important funktion. Where should I put the AEL instead when I replace it (Sony A6000)? On my Fuji XT2 I have 2 dedicated buttons for AEL and AFL and I use them both. But, when I was shooting with a6000 I used back button as AF Lock because it is more useful for my photography than AEL. This is the best article on bb focus, I‘ve read. I have been trying to figure-out, ‘do I press the back button, then release, or, do I continously hold the button, down, as I shoot’. Camera instructions don’t make that clear. Thank you.